Expanding your horizon is about creating new strategies, bringing a positive impact, creating a long-term value and opening up to a world full of new opportunities. We believe that in order to properly plan for the future, we must first take a close look at where we are today. Getting to know our clients is not only a regulatory necessity for us, it is the foundation upon which we build our investment strategy. It’s not simply about finding out how much income you make, or how much you can save… It’s about getting to know you as a person, about understanding how you feel about the markets and about addressing your concerns, so that we can have a clear picture of where you stand right now. No two investors are the same, and without taking the time to understand where you’re coming from, we can’t look at where you want to be. In today’s marketplace, many people have lost faith in the established financial practices, and aren’t certain of where to invest their money. This has caused many investors to concentrate on the retention of their capital at the expense of growth simply because it’s the safe option. But one thing we forget is that our savings have a purpose, and usually that purpose is to help us work towards a goal. Whether it be achieving the unique investment challenges of our institutional clients, or planning for retirement for our retail customers, that timeline is always getting closer, so the question remains: where do you want to be? Though this may seem an intuitive question, it is important to define it in order to make sure that we are all working towards the same goals. Obviously improving your financial position is the main purpose, but to what extent, and in what timeline? Answering these questions will provide us with the road map to your goals, and allow us to build a strategy on how to get you there. Now that we have a clear representation of your future financial needs as well as your timeline, the only question is: how do we help you get there? And while investment specifics will vary based on each client’s needs, by providing the option to invest in both traditional and alternative strategies we are able to give you all the tools to help you meet those goals. The financial landscape is changing, and it’s bringing opportunity with it, as well as an ocean of new and innovative products. That’s why here at WhiteHaven, our goal is to help you navigate these treacherous waters, and to get you where you need to be. All of us might wish at times that we lived in a more tranquil world, but we don’t. And if our times are difficult and perplexing, so are they challenging and filled with opportunity. 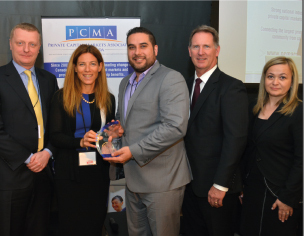 Award for a lead dealer in the diversified fund of the year. 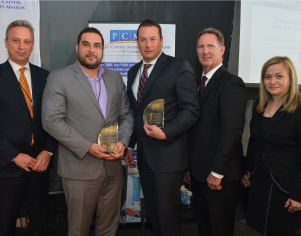 Winner: Invico Capital Corporation. Award for a lead dealer in the Real Estate deal of the year. 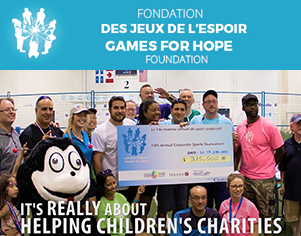 Winner: Rockspring Capital Corporation. 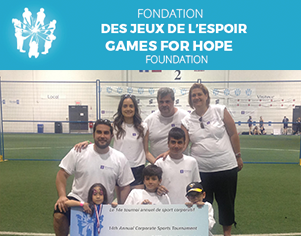 WhiteHaven is proud to be the main sponsor for the 15th annual Games for Hope Foundation. 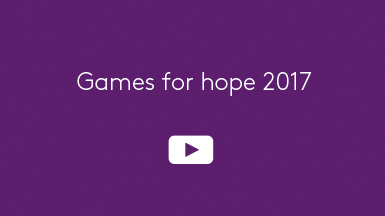 Whitehaven is proud to have supported Games for Hope in 2016, raising $40,000 for the foundation.